Hello (& Instagrams) from the Philippines! ~ Diane's Vintage Zest! Hello (& Instagrams) from the Philippines! Originally, I had scheduled a crafty post for today (per my brand new blogging schedule)... but I'm in the Philippines! So far, I have only had about a day in Manila. It consisted of sleeping, food, and a short walk around town before the entire city practically shut down when the Pope arrived. However, I have a few pictures to share with you already! To keep up with all of my adventures, check my Instagram feeds at both @vintagezest for the sights and @theepisodiceater for the food! On the plane with three travel essentials: hydration, nuts, and Chris Pratt! Ate a ton on the plane. 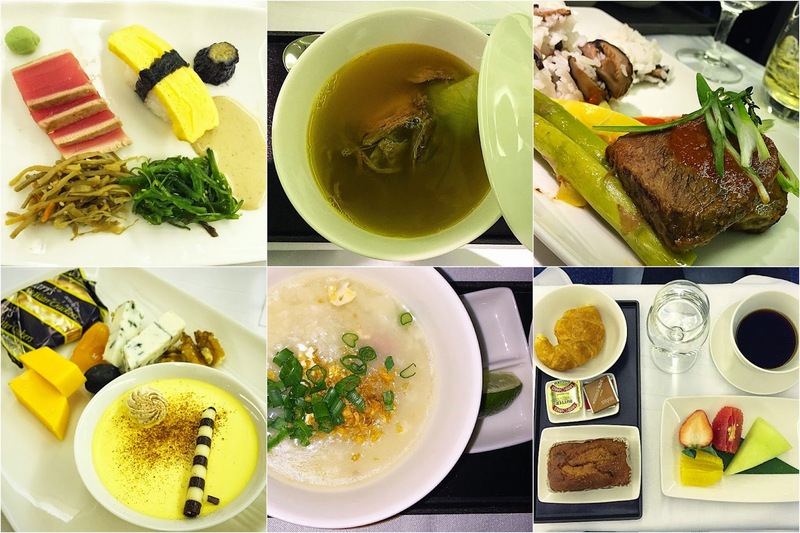 Seriously, I'm surprised at how pretty this plane food was! Also, this is what one person was given to eat, minus a couple of courses that you can see on @theepisodiceater. Granted, this was a long flight, but really? Plus, I could order from the snack menu whenever I wanted. It was bananas! Irony: I skipped the banana during breakfast. After touching down in the Philippines, we got acclimated to the hot weather, the time difference, and the money! Fun fact, the two 500 peso bills below are both real currency, but they change the money so often here that you'll often see different bills with the same denomination. For breakfast, I decided to be a responsible and have some of the beautiful fruit! 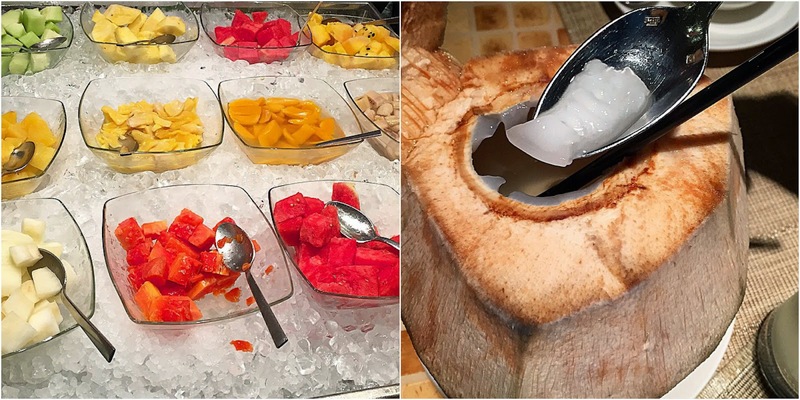 A couple of unique items were the yellow watermelon, white honeydew, jackfruit or langka, and the young coconut on the right. Yum! Here are a couple of typical Filipino desserts that we enjoyed for lunch. Halo-halo on the left (meaning mix-mix) with about a million ingredients. It's perfect for hot weather, so I expect to eat about a thousand more of these during my trip. I will definitely have to Instagram them all, because they always look a little different, with each restaurant putting their own spin on the dessert. 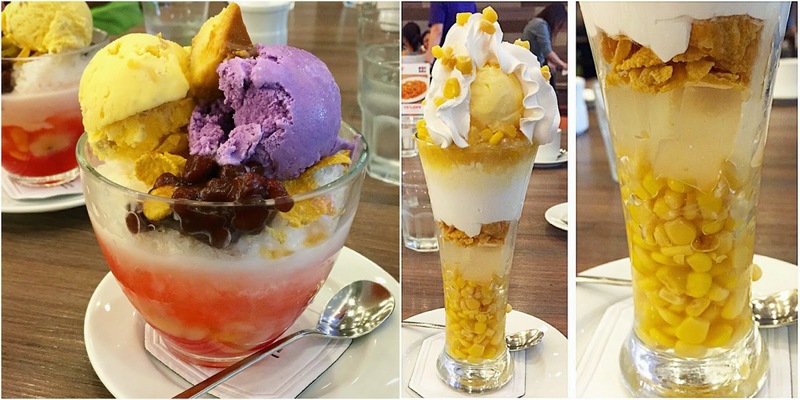 The dessert on the right is Mais Con Yelo, another sweet treat for a hot day! Lastly, we went on a walk, and I saw so many fun things around town. 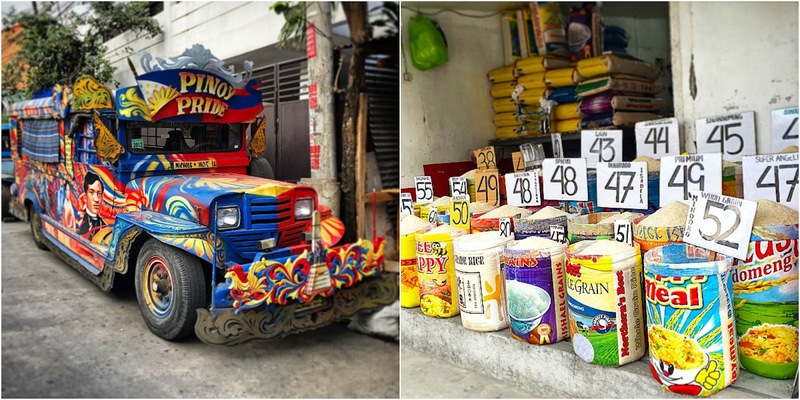 Jeepneys, a common form of public transportation, are usually painted and decorated with care. This person even painted their rims with the colors of the Filipino flag! Speaking of color, I saw this roadside shop selling rice, and it was just so pretty and colorful... especially for a food that is usually so blandly white! I plan to take so many more photos and share some with you eventually here on the blog, but definitely keep up with me on both @vintagezest and @theepisodiceater until then.